Sitting all neglected and getting green crap all over. I started it for the first time in 6 weeks today. Blew out some blue smoke, which I’ve never seen happen before. But still running like a champ, other than the tick that has always been there probably because the valves need adjusted or something else that a 315k truck would need. I think I’m gonna have to put her up for sale, the Subaru just does 80% of what the Blazer does, and it does those things many times better than the Blazer does them. 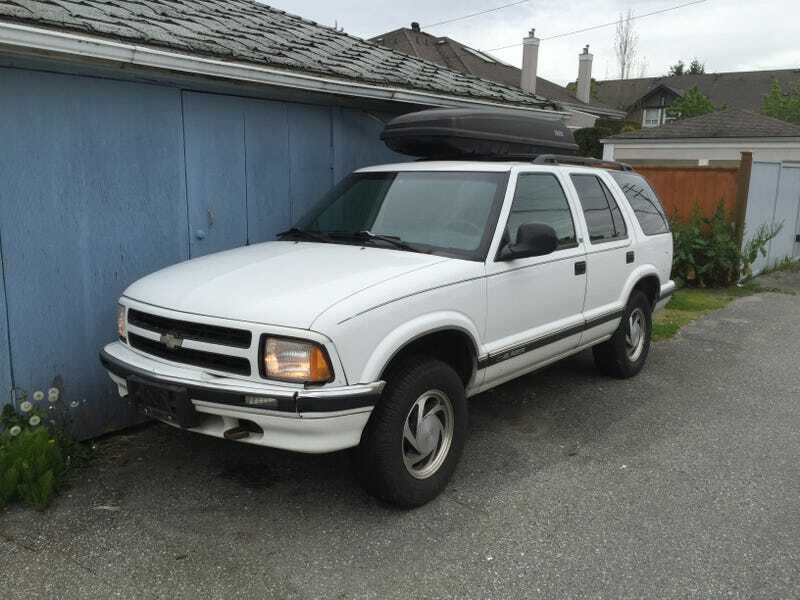 Plus, if I’m keeping a semi-proper 4x4 around, it might as well be a better one than an S10 Blazer. Still, the sentimental attachment I have will give me at least as hard a time as the many problems it has when it comes to selling it.